What will we do when we stop living our adult child’s life for him? On my journey to freedom from enabling, I’ve found the following ten steps helpful. Memorize the Ten Suggestions for Breaking the Enabling Cycle. You’ll need to remind yourself of these often. Having them just a thought away will be very helpful in time of need. 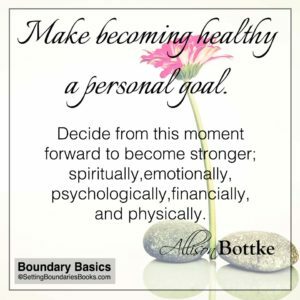 Make becoming healthy a personal goal. 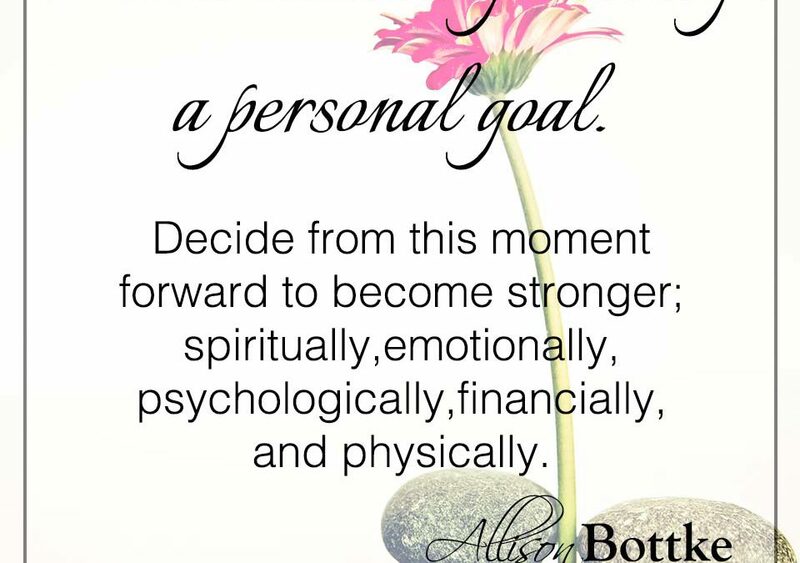 Decide from this moment forward to become stronger; spiritually, emotionally, psychologically, financially, and physically. If married, make the commitment to strengthen your union. Get counseling or join an appropriate support group if necessary. Decide to live your life and to stop living the life of your adult child. Find a hobby, join a gym, volunteer, or take a dance class. Do something you’ve always wanted to do. Take a step back and view the situation with your adult child from an unemotional perspective. Write a bio about your adult child as though you were not his parent, but instead a bystander who has been watching from afar for months—what is your adult child really like? Develop your action plan. This written document will clearly state the things you plan to change and will include non-negotiable rules and boundaries, firm but reasonable consequences, and timeframes. If married, this should be done as a couple. Remember, you and your spouse must agree on all areas of your plan and be prepared to present a united front at all times. If you’re single, get help from a support group or from an accountability partner. Prepare yourself for worst-case scenarios. Taking a stand often precipitates a crisis, and the situation may get worse before it gets better. Remember, “from controlled crisis comes positive change.” Think of this like an emergency fire drill, and carefully plan your course of action in as many scenarios as possible; role play with your spouse or a close friend. Stand firm! Commit to being consistent – DO NOT BACK DOWN, DO NOT NEGOTIATE. It could take days, weeks, months, or years for your adult child to change, if ever. There’s no way to tell. He may never change—but you have. Prepare to wait it out. Read the Bible along with a Bible study. Do this with a group if possible. Pray and always remember to LET GO and LET GOD. I am an enabler to my son and daughter. I see a light at the end of the tunnel with my daughter. Not for my son. He is 26 years old lives with me, no job, drinks, smokes (both). He was attending a technical college for a year but decided that the program was not for him. He’s had three job interviews this week (I’m holding on to Gods promises) so far nothing. I did write out a contract which ended just as he had these interviews. My husband, their father died in 1997 and I have raised them alone. I attended Church regularly and go to women’s meetings, Bible Study etc. The kids also were involved up into the time they turned 18 years old. My daughter is 4 years recovering addict PRAISE THE LORD. She is attending school for a Dental Assistant position. Doing great! I love my son more then anything but I need to change! Thank you for your book Setting Boundaries for your Adult Children. Thank you for this reminder of Ten Steps to Strength for Parents (Parent) in Pain.